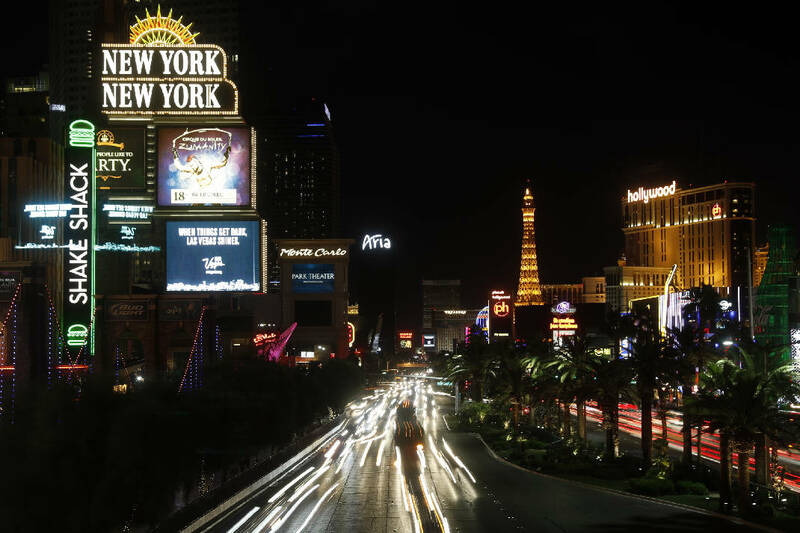 LAS VEGAS (AP) — Law enforcement authorities on Monday made a significant change to the timeline of the Las Vegas mass shooting, saying the gunman shot a hotel security guard before he opened fire on concert-goers. Clark County Sheriff Joe Lombardo had previously said the guard was shot after gunman Stephen Paddock fired at the country music festival and that the guard's arrival in the hallway of the Mandalay Bay hotel may have caused Paddock to stop firing. On Monday, Lombardo said security guard Jesus Campos was in a hallway of the Mandalay Bay hotel responding to a report of an open door when he heard drilling from Stephen Craig Paddock's room. Paddock, who had installed three cameras to monitor the approach to his suite, opened fire through the door, spraying 200 shots down the hall and wounding the guard, who alerted other security officials, Lombardo said. A few minutes later, Paddock began raining down bullets for 10 minutes in an attack that killed 58 people — the deadliest mass shooting in modern U.S. history, Lombardo said. Authorities also said Monday that Paddock targeted aviation fuel tanks, stocked his car with explosives and had personal protection gear as part of an escape plan. Paddock had power tools and was attempting to drill a hole in an adjacent wall, perhaps to mount another camera or to point a rifle through, but he never completed the work, Lombardo said. He also drilled holes and bolted a metal bar to try to prevent the opening of an emergency exit stairwell door near the door of his room. Lombardo again expressed frustration with the pace of the investigation, but not with the investigators who have yet to pinpoint the motive behind the shooter's decision to fire from the 32nd floor of the Mandalay Bay hotel casino on a Las Vegas Strip concert crowd of 22,000 on Oct. 1. "It's because this individual purposely hid his actions leading up to this event, and it is difficult for us to find the answers to those actions," Lombardo said. "We believe he decided to take the lives he did and he had a very purposeful plan that he carried out." There is still no evidence Paddock was motivated by ideology, or that there was another shooter, he said. Investigators have found 200 incidents of Paddock moving through the city, and at no time was he with anyone else, Lombardo said. Lombardo said police and FBI agents, including behavioral profilers, still haven't found a particular event in Paddock's life that might have triggered the shooting. The sheriff added that a complete evaluation of Paddock's mental condition was not yet done. Authorities didn't find a note in his room, only a paper with numbers, he said. Investigators believe the numbers represented calculations for more precise shots, according to a law enforcement official who wasn't authorized to discuss the details of the ongoing investigation publicly and spoke on condition of anonymity. The sheriff also confirmed investigators are talking with Paddock's brother Eric Paddock, who traveled to Las Vegas, and continue to speak with the shooter's girlfriend, Marilou Danley, to get insight. Lombardo declined to reveal what they've said, but he stated, "Every piece of information we get is one more piece of the puzzle." Eric Paddock said he came to Las Vegas to retrieve his brother's body in hopes of sending the cremated ashes to their 89-year-old mother in Orlando. Eric Paddock told the Las Vegas Review-Journal that he plans to put his brother's assets in a trust that would benefit the shooting victims. Law enforcement interviews with Paddock's brother Saturday and Sunday were part of an exhaustive search through the 64-year-old's life. Meanwhile, friends and relatives of the victims and other concert-goers who survived returned Monday to reclaim baby strollers, shoes, phones, backpacks and purses left behind in the panic as they fled. The personal effects being recovered were strewn across the massive grassy concert venue where 22,000 country music fans attended the Route 91 Harvest festival have become sentimental memories of loved ones for some and haunting reminders of the night of terror for others. People left behind thousands of items, Clark County Emergency Manager John Steinbeck said. Those who were in two areas of the concert grounds were being allowed to retrieve their things in groups, with authorities expanding the offer Monday to include people who were seated west of the stage. Authorities are powering up cellphones and asking people to text their full names to the phones to ensure they are returned to the correct owners. At the assistance center set up at a convention center in Las Vegas, a steady stream of individuals walked in on Monday looking for purses, wallets, cellphones and even a wedding bracelet. Volunteers filled out intake forms with detailed descriptions of their lost items, and later, FBI victims assistance agents asked for additional questions. People received their belongings in re-sealable plastic bags and were asked to check them. After identifying their items, some smiled and others hugged the FBI agents or Red Cross volunteers who had helped them. The somber mood inside the hall was occasionally deepened by the weeping of some.